Best literary agents – Who are the best book agents on our list of literary agents and how can you submit your book(s) to them? This article lists the Top 100 Literary Agents and it provides access to their contact information so you can query them. It also shows the top category for each agent. For example, the best fiction literary agents include Robert Gottlieb withTrident Media Group, Marly Rusoff with Marly Rusoff & Associates, and Russell Galen with Scovil Galen Ghosh Literary Agency. The best nonfiction literary agents include Celeste Fine with Sterling Lord Literistic, Larry Weissman with Larry Weissman Literary, and Frank Weimann with Folio Literary Management. And the best book agents representing books for younger readers include Stephen Barbara with Inkwell Management for young adult, Daniel Lazar with Writers House for middle grade, and Holly McGhee with Pippin Properties. Scroll below now to see the top 100 literary agents so you can get a top book agent, publisher, and book deal. And, click here if you want to see the Top Literary Agencies. Best Literary Agents – Who Are They? The best literary agents and literary agencies aren’t easy to identify. That’s because there are many skills that make a top literary agent: a good education, experience in the publishing industry, the ability to spot talented authors, book development, publicity, and general people skills. But there’s skill that’s more important than any other for authors who want to get a top publisher and a big book deal. And that is… sales ability. It doesn’t matter how good your agent is at anything else if he or she isn’t a good salesperson. So, who are the best literary agents based on sales? I’m not talking about the number of book deals that an agent has closed, either. I’m talking about the number of six-figure (and beyond) book deals that an agent has closed. In other words, who are the best literary agents who’ve gotten the biggest advances and promotional budgets for their clients, allowing them to make the biggest difference in the world? You’ll get different opinions depending on who you ask, but most publishing insiders will agree that the best literary agents are those listed below. That’s because this list of top dealmakers is based purely on performance. These are the best literary agents based on the most reported deals. profiles and contact information for all the best literary agents listed below. See the best literary agents in your genre! you won’t be able to use the social media sharing buttons above! Before you start submit your query letter to one of the best literary agents listed above, there are two things you need to know. First, this list of the best literary agents is based on deals that have been “self-reported” by the agents to a website called Publishers Marketplace. That means there are many other book agents making deals that don’t report them. In other words, this list of the best literary agents doesn’t including every good agent. There are hundreds more successful publishing agents that didn’t make this list. 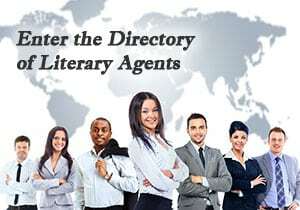 Click here now to learn more about our FREE Literary Agent Directory and get instant access to profiles for more than 1,300 agent profiles, including the best literary agents.